Conexus Indiana offers a paid, six-week internship program for high school students. 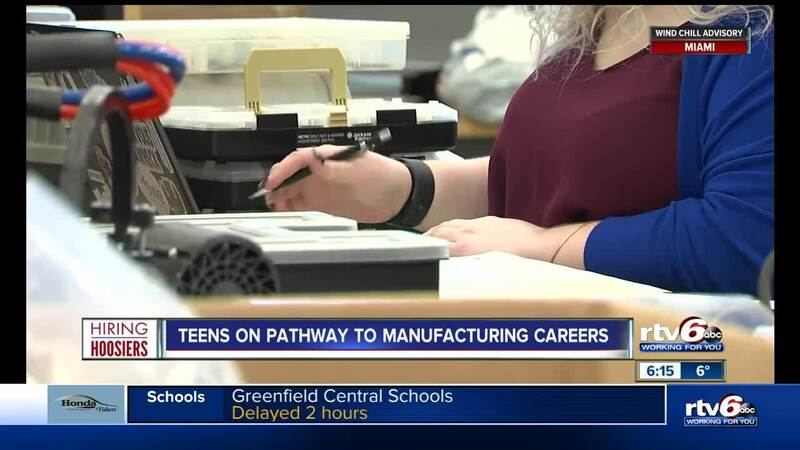 INDIANAPOLIS — High school students considering a career in manufacturing and logistics have an opportunity to get a first-hand look at jobs in these industries. Conexus Indiana is a non-profit focused on connecting high school students with Indiana’s advance manufacturing and logistics industries. In six, 40-hour work weeks over the summer, high school students can complete a paid internship through any of more than 150 manufacturing and logistics companies across the state. In a male-dominated industry, 19-year-old Maya Sears, of Avon, is working to stand out. “I worked at Allison Transmission and I was in the quality & liability lab there so I worked a lot with warranty parts,” Sears, who is now a freshman mechanical engineering student at Rose-Hulman Institute of Technology, said. Sears got the job in 2017 through a paid internship with Conexus Indiana. The program is available to Indiana high school students over the age of 16. In the last five years, Conexus has placed more than 870 students into workforce experience all before entering college. “Without exposure to these industries students are not going to opt into it as a career field,” Tracey Everett, director of talent programs at Conexus Indiana. “Our industries are desperate for talent and being able to build a pipeline of students coming out of high school and going into the industries is critically important." Everett started the Conexus intern program to connect Hoosier manufacturing and engineering companies with future full-time employees. Conexus interns are provided a free two-day seminar to learn employment skills as well. These are skills that Sears said taught her valuable skills to take with her to not only use in college, but also to soar in her career goals. Each internship is paid starting at $9/hour, with six 40-hour weeks. Applications for the 2019 summer program are due by Jan. 31.